Jen Roytz. Photo courtesy of Retired Racehorse Project. Jen Roytz has been named the new executive director of the Retired Racehorse Project (RRP). RRP’s founder, Steuart Pittman, who has held the title since the organization’s inception, will step down from his leadership role, but will remain involved as board chair. Roytz is co-owner of the Lexington, KY-based marketing agency Topline Communications and a writer, regularly covering topics related to Thoroughbred aftercare and equine health for publications such as the Paulick Report, Thoroughbred Daily News and Practical Horseman, among others. 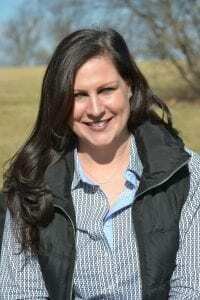 She previously served as marketing director at Three Chimneys Farm and, prior to that, director of public relations for Cornett Integrated Marketing Solutions (now Team Cornett). She holds board affiliations with the Thoroughbred Aftercare Alliance and Make a Wish Foundation and is a member of the Public Relations Society of America, U. S. Equestrian Federation, Kentucky Hunter/Jumper Association, Locust Trace Agriscience Center advisory committee, Saddle Up Safely advisory committee and the newly-formed Thoroughbred Women’s Network. As executive director, Roytz will be responsible for representing the organization in an external-facing leadership role with a particular focus on industry relations, institutional partnerships, strategic planning and fundraising. She will also be involved with the Thoroughbred Makeover, RRP’s flagship event, as well as many of the demonstrations and seminars RRP puts on at equine expos throughout the country, promoting the versatility, trainability and appeal of retired racing Thoroughbreds to a broad-based equestrian audience. “Through his vision and tireless efforts, Steuart has created not just a meaningful organization, but an entire movement with the Retired Racehorse Project and its various initiatives,” said Roytz. “He’s played a major role in changing the conversation surrounding aftercare and the numbers demonstrate that. Independent research has shown that the cost of horses being purchased from the racetrack has steadily increased over the past three to five years, and we have seen that the average price of horses being sold after competing in the Thoroughbred Makeover has steadily risen as well. Meanwhile, Pittman is moving into the world of politics and is running for the position of county executive in Anne Arundel County, MD, where his family has lived and farmed for eight generations. Pittman still lives on the family’s 550-acre Dodon Farm, where he oversees an eventing-focused training business. He’s running on a platform of smart growth in this part-suburban/part-rural county adjacent to both Washington, DC, and Baltimore, MD.